INASCO is seeking a talented individual, to support its technological activities in the areas of mechanical design for aerospace applications. Please send your CV to: general@inasco.com, mentioning the Job ID: EN_SPACE_L2.The applicants should send their CV only if their qualifications match the above desired experience and skills. 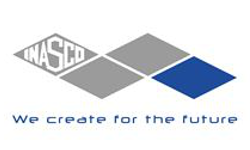 INASCO HELLAS is a high-tech industrial company, established in 1989, active in the international markets of Aerospace, Aeronautics and Advanced Composite Materials. We are a 100% extravert company. Our strategy and vision is to provide cutting-edge and innovative technological solutions to the major industrial groups of the global Aerospace and Composites industry. For the last 28 years, we have been providing such solutions, to the market-leading companies of our sector.